2nd Edition of Pioneering Book on Santa Muerte Now Available! 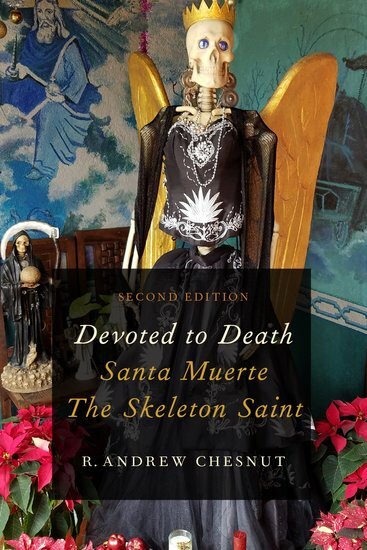 We are excited to announce that the 2nd Edition of Dr. R. Andrew Chesnut's pioneering work, Devoted to Death: Santa Muerte, the Skeleton Saint, is now available from Oxford University Press! The new edition includes a foreword from co-curator of SkeletonSaint.com, David Metcalfe, overviewing some of the profound changes that have occurred during the past 5 years since the … Continue reading 2nd Edition of Pioneering Book on Santa Muerte Now Available!